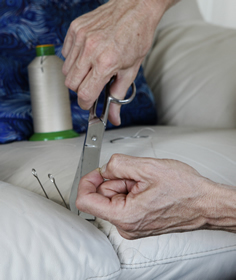 We have been master upholsterers for over thirty years. We are customer focused and strive for perfection in all that we do. Whether we are undertaking a simple leather repair or building a bespoke sofa we have our customers’ satisfaction at heart. 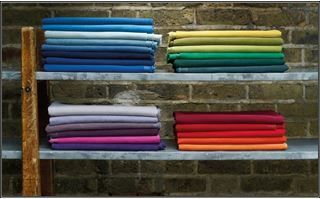 Using only the finest frames, fillings and fabrics, Crinoline Upholstery can create your dream sofa. Be reassured that British craftsmanship comes as standard. With over 100 years of combined experience our team will re-upholster your most treasured chair, three piece suite or simple seat pads. For an instant quote please send a picture via email or to our smart phone. Romo.com, Covertex, Ross, Chritena Morrone, Abraham Moon, Warwick Fabrics. Kirkby Designs, Mark Alexander, Villa Nova, Zinc, Black Edition. For the past twenty years we have run an expert leather and sofa repair service. For an instant quote please send a picture via email or to our smart phone.